Now I did promise you lovely people a bumper update, so here’s the next post for your delectation. Apologies for the substandard photo quality in this post – I left my camera at home so you’ll have to forgive the iPhoto! This next brand is one I’ve followed for a while – releasing some seriously fresh pieces and I’ve got more than a few items personally. Great quality, at an even better price all released by really sound guys. What more could you ask for? 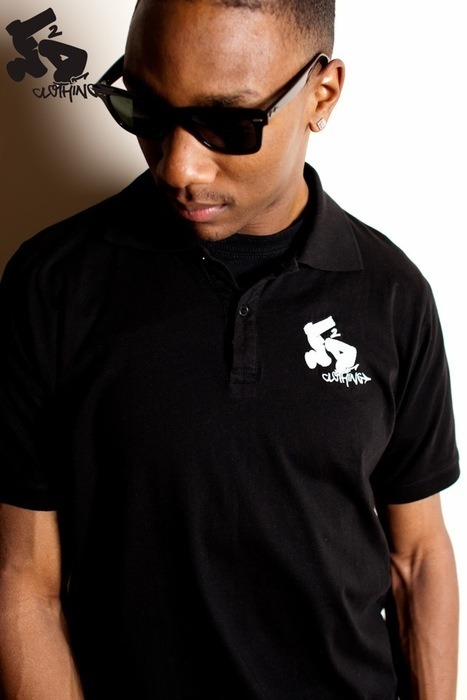 Who/ what is Fresh 2 Def Clothing? 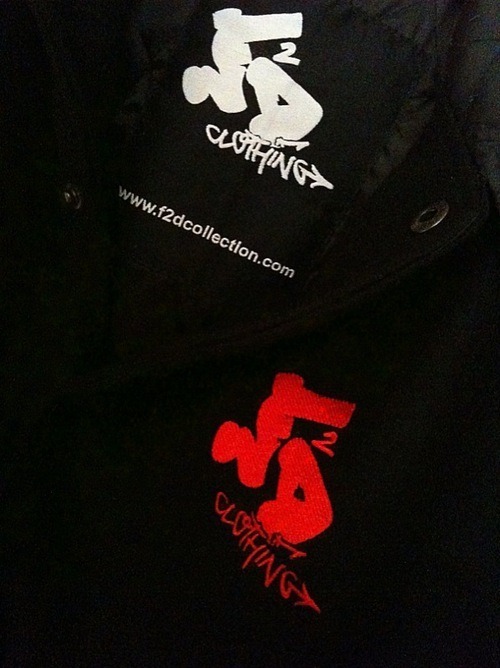 F2D is a street fashion brand from Birmingham City, based upon our lifestyle and influences. The brand is run by me (Dan), along with my boys Gary and Emz. Your brand image is strong and striking – where did the F2D tag and the Retrokid design come from? The F2D tag was a sketch my boy Phobia did for us. He’s one of our designers, not that we’ve released any of his pieces he’s done for us yet but watch this space. The Retrokid logo is one of my own sketches. It came from thinking about the 90’s and the crazy haircuts we used to have. 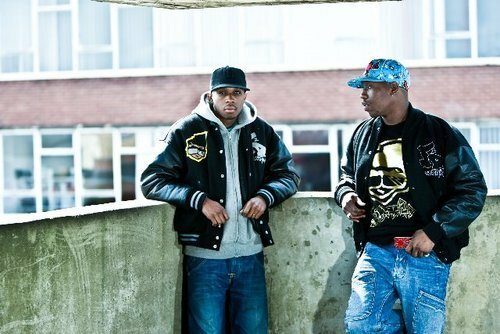 What does/ will make your brand stand out and distinguish itself from the rest of the UK streetwear pack? First of all, we don’t consider ourselves to be a “streetwear” brand, lets get that straight. We’re just a clothing line from Brum. Call us what you want, as long as you’re buyin’! And for that reason we don’t look like a streetwear band, so that’s different in itself. Our designs are also originally freehand drawn before we digitise them. We feel that we bring a different kind of flavour to the market. Who/ what influences you in your work? We are influenced by Birmingham inner city lifestyle, as that is where we’re born and bred. Our style is based around the kind of uniform people like ourselves like to dress in. So our surroundings basically influence what we make. Where do you see you and F2D being in 5 years time? Still doing our thing selling online and hopefully by then we’ll be stocked in stores around the UK and hopefully across the pond too. We hope to be known at a level where when people see our logo they just know it’s an F2D piece. Where can people expect to catch your work, any stockists to watch? You can buy direct from us, both Mojo Sneakers and Tempest stores in Birmingham, Blok Clothing in Northampton and True Life Clothing in Australia. We will soon be stocked in Seven Street in Wolverhampton and Super Fresh in Saudi Arabia. We’ll let you know when more stockists come up! Shoutouts My F2D crew; Gary, Emz, Tim and my wife Jasmine. Brands like Self Gained Treasures, Dirrrtee, DBD Clothing, Villainous Visard, Soap-Box and Trapstar. FatKidOnfire [that’s me!] and the whole of Birmingham, the UK, the world and the universe…. The F2D guys aren’t afraid to do something a bit different. Their most recent piece, the hooded jacket that caused the controversy, has a woollen body with genuine leather sleeves and hood. Not many UK brands are dropping that sort of thing. And the varsity is sick. I should know, I bought the third one (out of fifteen made)! The leather is wearing is nicely and I’ve already had complete strangers come up to me and ask me where it’s from. F2D are putting out pieces they wear themselves, and are getting big love from the consumer showing that there’s appreciation from the public. The Retrokid Black Edition varsity cost £100 a jacket (not cheap, but damn good considering you get a woollen varsity with leather sleeves). The fact the line of 20 jackets has completely sold out speaks for itself. So F2D are obviously doing something right!